And so I'm back at the Cannes Film Festival again. This is my third visit in a row after a fourteen years hiatus and I simply cannot imagine not going back every year now. Yes it is exhausting, crazy, frustrating, but also, an experience like no others, where each day brings its share of surprises, glamour, chance encounters and of course great cinema. For all its madness, it is also a celebration of cinema in all its variety in a way that simply does not exist anywhere else in the world. The sheer concentration of talent, journalists, industry people, and cinephiles is insane, and make you feel like you are in a bubble, blissfully unaware of the outside world. Where else would people queue for hours and fight to watch a 3 hours + arthouse Turkish film, as happened to me today (more on this tomorrow!). But first thing first, and this is how my (short) first day went. This is a short, introductory post as I arrived late in Cannes yesterday and only saw one film (against the three films I saw today before writing this! ), still, it started with a bang, as you will see. This year, I was surprised and delighted to be offered a proper press pass, which I didn't expect. This means an easier access to most screenings without having to beg for invitations. Nothing is ever simple and it still means queuing, but that's part of the fun! I must admit, picking up my press pass among all the professionals, being given all access to the Palais made me feel pretty giddy, and I was instantly thrown back in the madness of the festival. 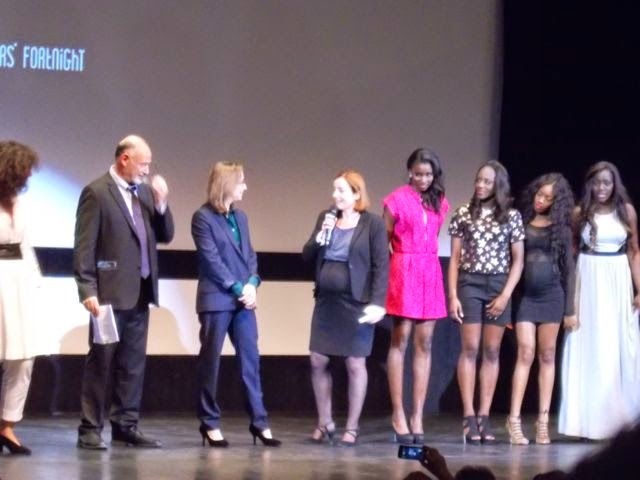 My goal for the evening was the opening ceremony of Director's Fortnight, which included the screening of Céline Sciamma's new film, Bande De Filles (or Girlhood in English). The helpful ladies at the Director's Fortnight warned me that, this being the opening night, I was advised to start queuing a good two hours before the start of the film, even with a press pass (despite us being in a separate queue with a higher priority) And so I got in with no problems. 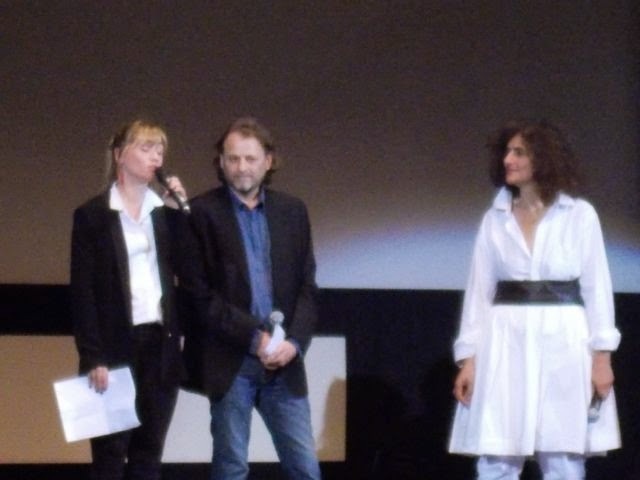 Director's Fortnight is a sidebar selection and actually completely independent from the Official Selection, taking place in a different venue, and which was created after "Mai 68", a period of great unrest in France during which the festival was cancelled. It has the reputation for being more accessible and more genre-friendly. I saw the We Are What We Are remake there last year, and they are showing The Texas Chainsaw Massacre restored print next week. 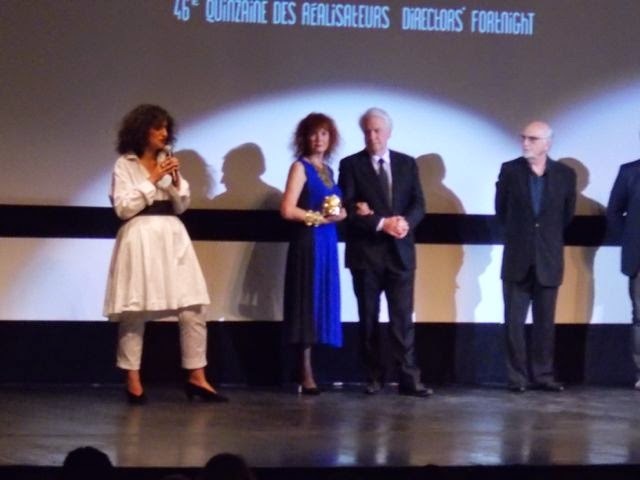 It is run by The Société Des Réalisateurs De Films, and as such, every year at the opening ceremony the "Carosse D'Or" trophy is bestowed upon a director. This year they picked the late Alain Resnais, and French director Katell Quillevere came on stage to introduce a great montage of his films, a reminder if I ever needed one to delve into the part of his filmography I still have not seen. And then his muse and wife Sabine Azéma came on stage, alongside her usual screen partner in Resnais' films, André Dussolier. There was just something so magical about seeing them both in person, being the huge fan of Smoking/No Smoking that I am (a must see, one of the craziest and most playful films of the New Wave director). But to bring in a touch of madness to the proceeding, the ceremony was then hijacked by the "intermittents du spectacle", a loose term which encompasses actors, technicians etc... and everybody who works intermittently (hence the name) in show-business, with long periods of unemployments. I didn't quite understand what they were on about I must admit, talking about some union agreements (and I can't imagine what foreign audience members made of it all) but in a festival of glitz and glamour, it is always worth remembering the less glamorous side and all the less fortunate ones chasing a dream or simply a living. 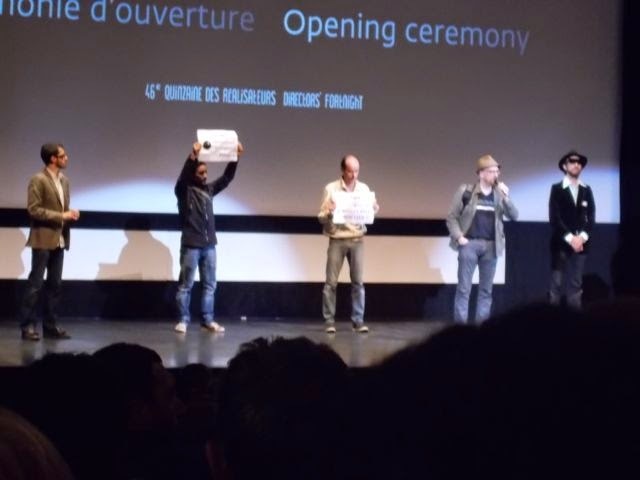 They did threaten to stage a new "Mai 68", drawing some nervous laughs from the audience. And now for the film, I have written a review for Verité Film Mag, click here for the review. Let's just say the film was a great opener and had a fantastic reception from the audience, with the four young female leads visibly moved.And join me tomorrow for The Captive, The Blue Room and Winter Sleep. (I have a one day delay with my posts, I really don't know how some people manage to see 3/4/5 films a day AND still have their post ready in the evening! ).